Please enter the first name and Class Year of personalization. Limited to 14 letters/spaces. If you do not wish to have the item personalized, type "None" in the box. 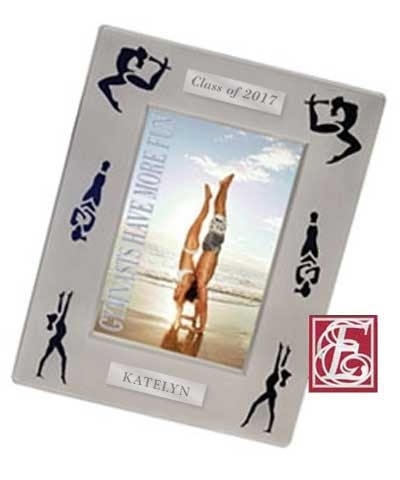 Engraved Graduation Gymnastics Silhouette Frame. 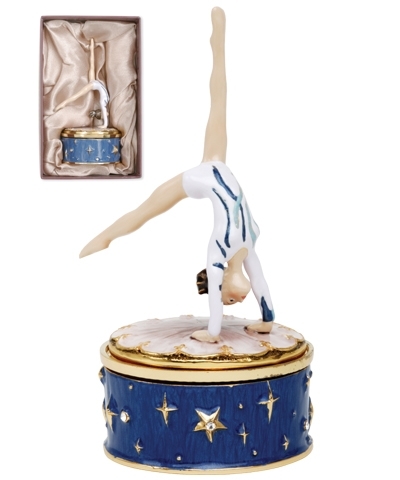 Save your favorite Senior Year memory in this 5.25"x 6.75" Silhouetted Gymnastics picture frame. Holds a 3"x5" picture. Just give your Name and Class Year and we will do the rest. Two lines-up to 14 characters each. Enter name and year in personalized box.